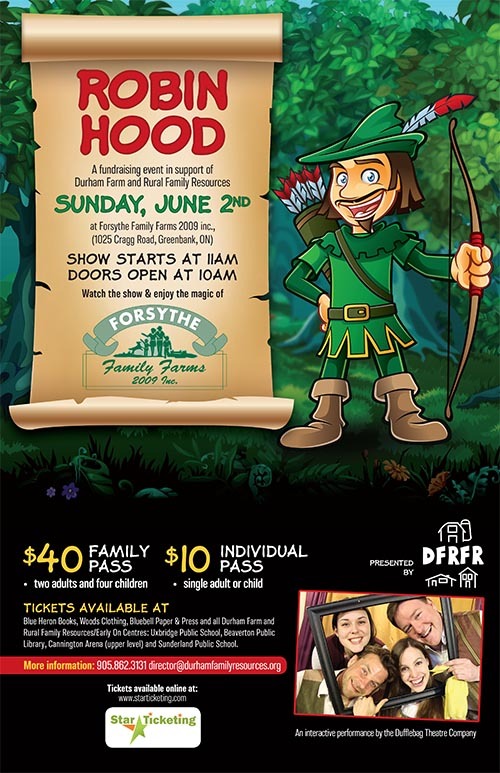 This interactive family-friendly production of Robin Hood will be performed by the Dufflebag Theatre Company. It is a fundraising event in support of Durham Farm and Rural Family Resources. Ticket prices: $40 Family Pass (2 adults and four children), $10 Individual Pass (single adult or child) and include all ticket fees and applicable taxes.